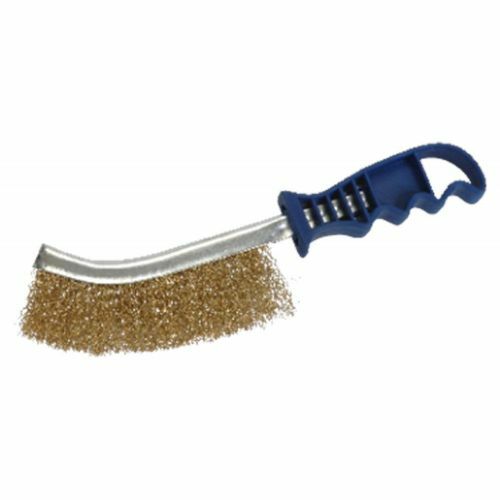 This handle brush is used for brushing, cleaning and smoothing brass, copper and bronze. Norton offers a range of wire brushes suitable for a wide variety of surface processing applications. This handle brus is made with wooden core. Available in different widths, For use on narrow work pieces. Ideal for light deburring and cleaning profiled surfaces. Basic hand brush for simple cleaning jobs in hard to reach or small areas. Plastic handle for better grip and comfort in use.